For Iowa native Dr. Mickie Schleef, chiropractic was a way of life for her and her family. She was adjusted within two weeks of her birth and many of her family members, including both sets of grandparents, were adjusted regularly. Coming from such a strong chiropractic background and seeing the benefits first hand not only in her but in her family members made the decision to become a chiropractor easy. Dr. Mickie always knew she wanted an all-natural way to help people. That’s another reason why chiropractic was such a good fit for her. To obtain her chiropractic education she attended Cleveland Chiropractic College of Los Angeles. She loved the diversity of the school and enjoyed being exposed to different cultures while there. 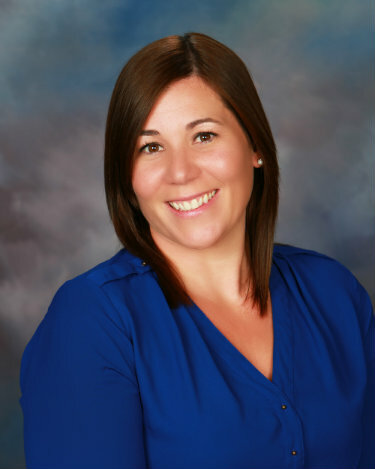 In addition to providing chiropractic care to her patients, Dr. Mickie is trained in acupuncture. She found her passion for acupuncture after experiencing the amazing benefits herself. Before she began working at Health Solutions, she worked for a chiropractor who performed this ancient form of Traditional Chinese Medicine. “He tried to get me to try it even though I was afraid of needles!” As she experienced severe insomnia, however, Dr. Mickie decided to see if acupuncture could help. It did. She started sleeping better — a far cry from the three hours of sleep per night she was used to getting. In fact she felt more focused and energetic overall. I felt like it was divine intervention that set me on this different path. When she’s not at the practice, Dr. Mickie enjoys working out, hiking, boating and traveling. She’s also a big football and baseball fan and particularly enjoys watching the University of Iowa Hawkeyes and the Chicago Cubs play. Dr. Mickie is close to her family; her parents, siblings and nieces live in Iowa, and she enjoys spending as much time with them as possible. If you’d like to experience firsthand how terrific you can feel with safe, all-natural acupuncture care, book an appointment today with Dr. Mickie!